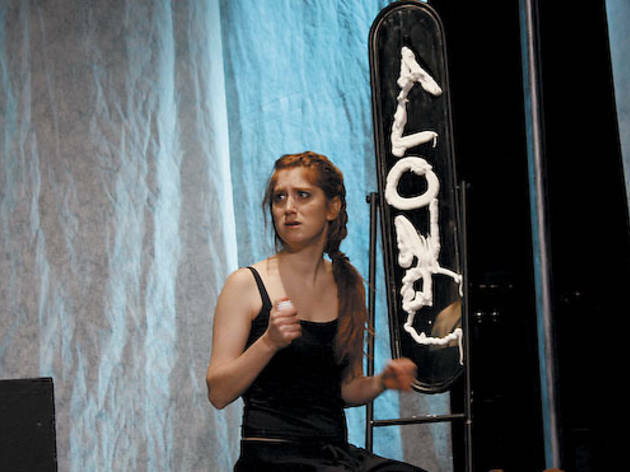 This flyweight musical about a young woman’s depression could use some serious therapy. If The Room writer Tommy Wiseau and anti-psychiatry crusader Catherine Bell ever teamed up to write a depression-themed musical, it just might look and sound something like this fractionally competent and wholly ridiculous effort, first produced for the 2011 New York International Fringe Festival. That collaboration might not be a bad idea, actually. The plodding dialogue would be about the same, but at least Wiseau’s penchant toward inexplicable plot twists would keep the action moving. Yes. Clearly. Despite the good intentions of Uncovered Theatre’s bare-bones production, Jessie’s character never develops beyond a brooding head case, and Nathan A. Schmidt’s Ambien-laced score provides little relief.